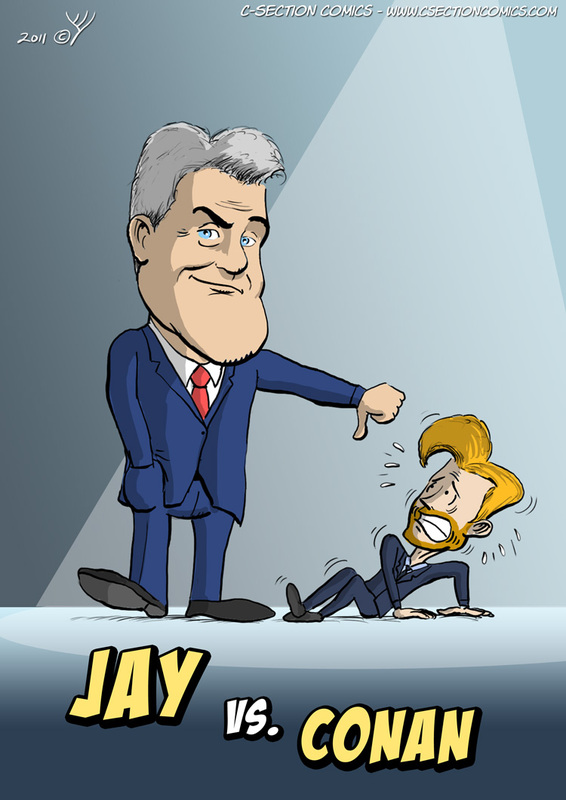 A caricature depicting feuding Talk Show Titans – Jay Leno and Conan O’Brien – in what became know as the 2010 Tonight Show conflict. The caricature was originally used in this C-Section Comics cartoon by me. Do you like this caricature? I’ll draw your caricature from a photo, in the same style, for affordable rates. Click here for more information. This entry was posted in Uncategorized and tagged Caricatures, Celebrity Caricatures by Idan. Bookmark the permalink.